Designed specifically for your organisational needs, our Subject Divider A4 5pk fits into your stationery budget with ease. Each one has been manufactured from a durable card and comes in a variety of different colours to help with visual identification. They feature a multi-punched design that suits the construction of most binders with this pack including 5 different sections to help separate out your information successfully. 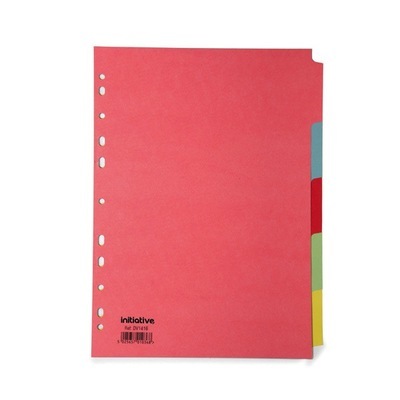 These subject dividers are suitable for use with professional or domestic tasks. Ensure you're able to complete any admin tasks with our wide range of Stationery resources including A4 White Copier Paper and Sticky Note Pads.